Have you ever felt frustrated with your overall musical progress? Have you ever finished a practice session feeling like you just wasted an hour of your life? Yeah, me too. 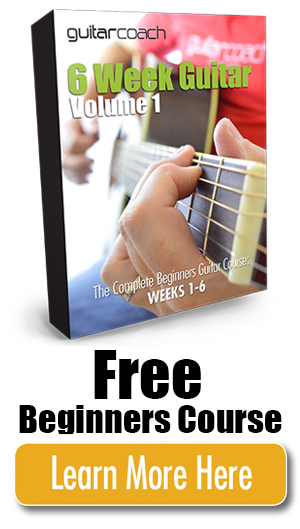 In fact, most musicians go through periods of frustration because – let’s be honest – mastering the guitar is hard. ‘These simple, effective, and scientifically proven learning techniques can shave years off your learning curve’. Chunking is the process of organizing separate pieces of information together. When information is ‘chunked’ into groups, it’s easier to remember the groups as opposed to each piece of information separately. As professor and author Dr. Barbara Oakley states in her book, A Mind for Numbers, chunking is the ‘mental leap that helps unite bites of information together through meaning’. Through the process of chunking, you’ll have an easier time remembering and recalling information. 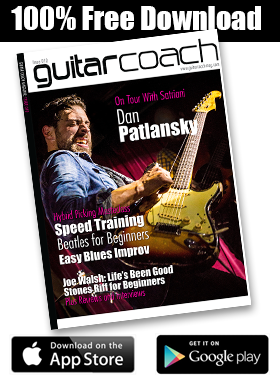 ‘When information is “chunked” into groups, it’s easier to remember … you can use chunking to supercharge your guitar chops’. In the same way that Dr. Bor’s test subject mastered endless streams of numbers, you can use chunking to supercharge your guitar chops too. 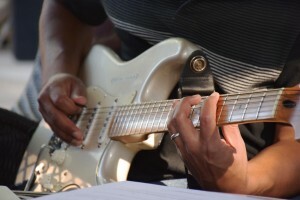 For example, let’s say you’re a beginner learning to strum your first 12-bar blues progression in the key of G. Instead of fumbling your way through the entire tune, break it down into four-part sections (or chunks): the first four bars, the middle four bars, and – finally – the last four bars. First, form your G7 chord, set the metronome to a comfortable tempo like 80 bpm, and practice strumming in time over the first four bars. Focus on playing smoothly, evenly, and in time for five or six repetitions. Next, repeat the same process with the second section, but this time you’ll need to start with the C7 chord in bar five and change to the G7 chord in bar seven. Finally, repeat this process for the last section. This type of mental processing will help your mind seamlessly organize any 12-bar blues tune you encounter in the future. Of course, repeatedly playing your favourite blues lick or endlessly chugging through your best-loved power chord progression is loads of fun. 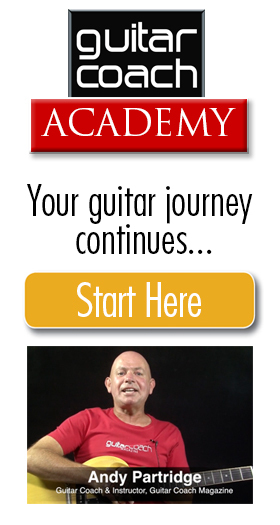 But simply repeating what you already know – although admittedly enjoyable – won’t necessarily make you a better guitarist. That’s where deliberate practice comes in. Deliberate practice is the process of focusing on the material you find most difficult. Although it won’t always be easy, practicing deliberately can be the difference between being a good guitarist and being a great guitarist! To further illustrate, let’s use the 12-bar blues progression again. This time, you’ll deliberately focus on the hardest part first; this is usually the turnaround found in the last two measures. Begin there and don’t skimp over the hard stuff. If the entire turnaround is still too difficult, divide it into two separate measures. If it’s still too hard, then split each measure in half, focusing on the first two beats of each measure (assuming you’re playing in 4/4 time.) Turn on the metronome and play along at a comfortable tempo until you can play it five times in a row without a mistake. Once you’ve tackled the turnaround, the rest of the tune will be a breeze. Believe it or not, sleep plays a vital role in our ability to learn. In fact, one recent study found that students who studied just before going to bed (at 9 pm) did significantly better than their counterparts who studied the same material at 9 am in the morning. But the catch is, you have to put in the time and effort in the woodshed before you can reap the full benefits of sleep. That’s because the mind has two distinct modes of thinking: the focused mode and the diffuse mode. During the focused mode, your mind intensely concentrates on solving a specific problem like learning a tricky new riff. In contrast, your brain enters a more relaxed (and often more creative) ‘big picture’ state during the diffuse mode, like when you are listening to your favourite album. 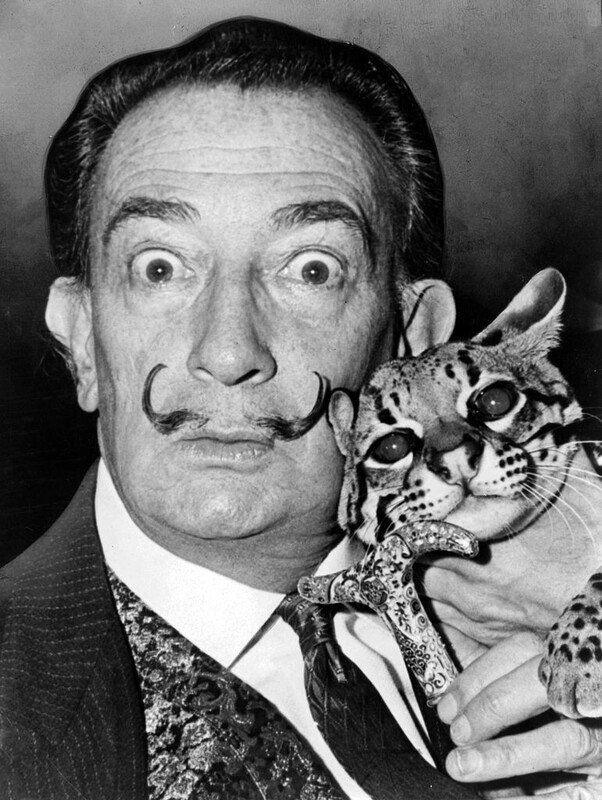 Salvador Dali with his pet ocelot. Photo by Roger Higgins. In fact, many of history’s great artists, scientists, and thinkers, like Salvador Dali and Thomas Edison, have been able to tap into the diffuse mode of thinking for some of their most creative ideas, inventions, and discoveries. Indeed, Dali’s ability to switch between the two modes of thinking has become the stuff of legend. According to researchers, the iconic Spanish painter tapped into his diffuse mode to develop his most inspired surrealistic paintings. After focusing intensely on a particular painting, Dali would relax in his chair with a key in his hand – dangling perilously just above the floor – vaguely thinking about the painting he was previously working on. As he began to fall asleep, the key would drop from his hand, clatter to the floor, and wake him up. Gathering up his diffuse mode connections and ideas in his mind, Dali would then rush back to his painting with deeper levels of insight and creativity. Part of Dali’s genius rested in his ability to maximize the two modes of thinking. So instead of slogging through hours of material during your practice sessions, focus on brief periods of intense study (i.e. focused mode) followed by rest and relaxation (i.e. diffuse mode). And whenever possible, review the most difficult aspects of your musical practice just before going to bed. These three simple, effective, and scientifically proven learning techniques can help alleviate frustration and leave you feeling refreshed and invigorated after your practice sessions. Brian Parham is Oregon’s most inspired guitar instructor for kids. He is the author of The Ultimate Rock Guitar Dojo for Kids: a fun and innovative method for teaching kids to play rock guitar. Students of the dojo progress through five levels of skill and achievement represented by the white, yellow, green, red, and black guitar straps.